The National Weather Service In Corpus Christi Has Issued A * Tornado Warning For... West Central Live Oak County In South Central Texas... * Until 545 Pm Cdt. * At 520 Pm Cdt, A Severe Thunderstorm Capable Of Producing A Tornado Was Located Near Simmons, Or 7 Miles West Of George West, Moving ...Read More. ...a Severe Thunderstorm Warning Remains In Effect Until 545 Pm Cdt For West Central Live Oak County... At 524 Pm Cdt, A Severe Thunderstorm Was Located Over Simmons, Or Near Three Rivers, Moving Northeast At 25 Mph. Hazard...60 Mph Wind Gusts And Half Dollar Size Hail. Source...radar Indicated. ...Read More. 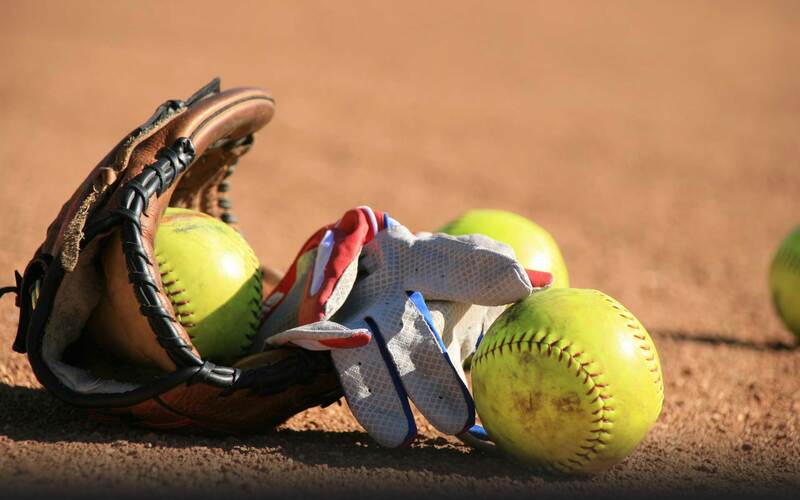 CENTERVILLE – The Grapeland Sandiettes traveled to Centerville on Friday, March 29 and were looking to get back to their winning ways following a tough loss in extra innings to the Lovelady Lady Lions. The Lady Tigers proved to be just what the Sandiettes needed as they blistered Centerville by a final score of 15-4. Grapeland started off slow at the plate for the third consecutive game as it took them a couple of innings to get going. Kayla Wilson was in the circle to start for the Lady Tigers and worked a quick first inning. She retired Diamond Dunn got Kiera DeCluette to fly out to right, gave up a single to Cierra Simon and then struck out Cheney Boyd to end the Grapeland half of the first. Just like their previous match up with the Sandiettes, the Lady Tigers jumped out to an early lead. Cadie Belle Currie was in the pitcher’s circle for Grapeland and she struggled with some control issues early on. After retiring Wilson on a ground out to first, Currie gave up back-to-back singles to Reileigh Matthews and Charmayne Hubbell. On Hubbell’s hit, Matthews took third and scored on an error. Hubbell motored into third on the same play and when Kaylee Brent hit a chopper to second, Hubbell beat the throw to the plate to make the score 2-0. After that, Currie buckled down and struck out K. Pyle as well as Averi Hancock to end the inning. Following a quiet second inning, the Sandiettes struck for six runs in the top of the third. Both KeKe Harris and Dunn bunted their way aboard. DeCluette also laid down a bunt and reached safely as Harris crossed the plate on the throw. Simon was up next and hit into a fielder’s choice but the throw home was not in time as Dunn scored. On the play, DeCluette made it to third while Simon stood on second. Cheney Boyd was up next and she also hit into a fielder’s choice but DeCluette was able to make it home and give Grapeland a 3-2 lead. With Simon now at third and Boyd at second after stealing the base, Currie laid down a bunt to plate Simon and move Boyd to third base. Currie moved to second and Jaycee Graham came in as a courtesy runner. Madi McCombs followed in the order and she also bunted. On this bunt, however, an error at first allowed both Boyd and Graham to cross the plate which made the score 6-2. Wilson settled down long enough to retire the side and then the Lady Tigers cut into the Grapeland lead with two runs in the bottom of the third. Currie gave up a hit to Matthews to lead-off the Centerville at-bat and then forced Hubbell to fly out to center. Brent was up next and singled to right which allowed Matthews to make her way to third while Brent took second on the throw. Keyonna Holley followed with a single to drive in Matthews and advance Brent to third. An error brought Brent across the plate while Currie caught Pyle looking at strike three. After a walk to Hancock, Currie struck out Kami Sullivan to end the inning with the Sandiettes still ahead by a score of 6-4. Grapeland tacked on another run in in the fourth to push their lead out to 7-4 when DeCluette scored on an error. A quiet fifth inning gave way to the sixth and the Sandiettes exploded once again for six runs to push their lead out to 13-4. Grapeland added two more in the top of the seventh to make the final score 15-4. Currie picked up the win in seven innings. She gave up four runs on eight hits. She struck out eight and walked two. Wilson took the loss after going the distance while yielding 15 runs on 13 hits. She also struck out three.